Images play a major role in keeping the readers engaged to your article.Moreover, adding images can help in explaining particular tutorials or guides easier. But are you doing these four significant changes to every image you upload to your blog? Starting from your post icon to Infographic, you need to do these changes for better optimization and SEO results. So, let’s see what those four necessary changes are. When you design an image on any image editing tool, chances are the name of the picture will be like image.jpg or default.jpg. Search Engine bots can’t understand the pictures, and they rely on the name of file and alt attribute (explained later) to recognize a file and rank it. There are millions of images with unrelated names on the internet and you don’t want to lose in this chunk. Always save your images or rename them to some related names. For example, if your article is about ‘buying a new car’ and you’re adding an image of a car then the name of the image can be car name and model. If you haven’t exported your image as ‘save for the web’, your image will be of high quality and large size. Uploading these pictures on your site can slow down the loading speed which affects your site severely. To avoid this situation, resize your images to lower sizes and convert them to JPG or JPEG format. Here are few tools to resize your images that do not affect the quality of your pictures. As mentioned earlier, ALT attributes are used by web crawlers to recognize your images and rank them accordingly. ALT images can also be called as ‘keyword of the image’. Hence, Adding appropriate ALT images will help your site rank better. 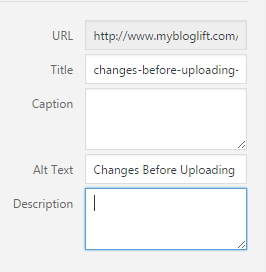 In WordPress, you have the option to add ALT attribute while uploading the image. Blogger users can right-click on the picture and add ALT attribute by going to properties. Make sure you don’t write the filename and ALT attribute same. Have some variations to rank for similar keywords. The last change you can do to an image before uploading is to add a detailed description. Here you can explain the purpose of the picture and why you used it. These descriptions are sometimes used when sharing your images and thus users can know more about the picture. Additionally, you can add captions to your photos. A Little change can affect your SEO a lot, and you can’t afford to ignore these important changes to images. 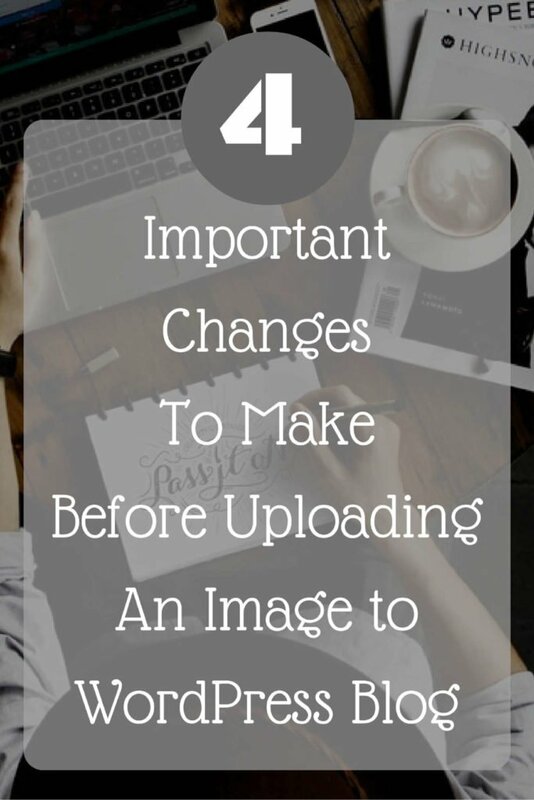 Take time and do these changes before you upload an image to your site. Another change you do before uploading? Share with others in the comment section below. Lastly, do not forget to share this post with your blogger friends and followers. And feel free to Pin image below. Hey what a wonderful article you have posted . I have been having some issues about resizing images but i have gotten a solution now. i must surely try those plugins out immediately. Thanks for the great article, I ‘d say the alt tags would be the most important that Google loves them. Thanks for stopping by and leaving sharing your thought.